After sold-out shows in the last year at Manchester's Night And Day and Soup Kitchen and nationwide dates under their belts, LIINES recently signed a management deal with Reckless Yes and have announced the release of a new single Disappear / Be Here for October. We caught up with lead singer Zoe ahead of their performance at Ramsbottom Festival on Friday to find out more. Things have got a little bit exciting for LIINES since we last spoke, can you tell us a little of what's happened? It certainly has been exciting! We announced a management and release deal with Reckless Yes Records a few months ago, working with two incredible people – Sarah Lay and Pete Darrington. We will release a limited coloured double A-side 7” and digital single with them on 28th October – our first physical release, which we are very excited about. To celebrate this, we have been working with Scruff of the Neck on a run of tour dates – London (Birthdays, 29th October) and Manchester (Aatma, 26th November) have just been announced, with more coming soon. We’ve also played some great festivals this summer, including Theatron Pfingstfestival in Munich, Dot to Dot Festival – and we have more to come including Ramsbottom Festival (Friday 16th September), Salford Music Festival (Friday 30th September) and Ladyfest Manchester (8th October). Does it feel like a justification of what you're doing that you've got people around you now who believe in you and are willing to back you? Absolutely. It has been a huge boost for us having Reckless Yes approach us and invest in us in this way. They have so much experience and passion between them. This opportunity has really focused us – we will be working as hard as we can to do us and them proud. We’ve also been working with Scruff of the Neck for the last 12 months, who have given us opportunities to play some great gigs and festivals – so we’re excited to be working with them again on our next tour. You've been playing to bigger audiences as your profile has grown, how does it feel different coming on stage now and people knowing your songs? Bands and audiences feed off of each other and having that support behind you from the onset is an incredible feeling. We pride ourselves on our live performances – it’s what we enjoy most – so it’s an amazing feeling when we see people getting drawn in to our sets. We’ve loved seeing and meeting new faces at our shows over the last twelve months. To then see some of those faces at more gigs really means so much to us. You're playing Ramsbottom Festival this weekend. You've played some pretty big outdoor events on the continent, but how does it feel to be playing one a lot closer to home? We are very excited and honoured to have been asked to play such a well-established festival. Playing festivals is always a different, special experience and we’ve been played a few more of them this year. People we know who have either played or attended Ramsbottom Festival have always spoken highly of it, so we can’t wait to play to a new crowd. We’ve got new material for our set and we’re looking forward to sharing it. You're also playing the Musicians Against Homelessness gig the following week at The Live Room. How did that come about? We contacted the Musicians Against Homelessness regional manager as soon as we heard about it the campaign – which is a huge network of gigs across the country raising money for Crisis UK. We live in Manchester and it’s awful to see how much homelessness has worsened in recent years and not enough is being done to address it. Hopefully this project is going to shine a light on the issue so it can’t be ignored, as well as raising lots of money for Crisis UK. We’re playing on a packed bill at The Live Room, Manchester, on 24 September – seven bands and DJ sets from Clint Boon and The Stone Roses tour DJ, Phil Beckett – which we’ve been told on good authority is selling quickly! The organiser and the bands involved are all really passionate about the event – it’s going to be such a great night. What are your plans for the rest of the year? 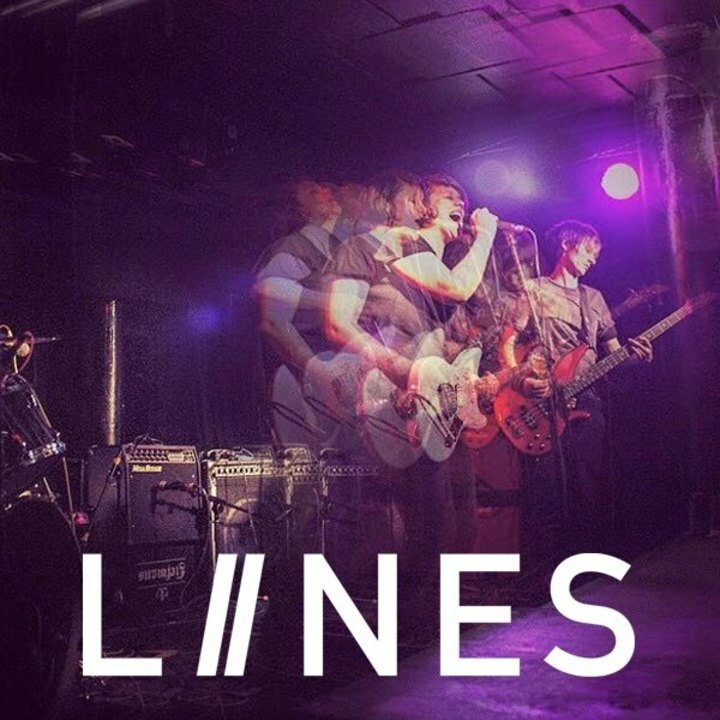 Can we expect a LIINES album any time soon? We’ve got some great festivals coming up in September and October before we start promoting our single ahead of the release on 28th October. The single tour kicks off at the end of October, including headline shows in London and Manchester. We’re also booked into the studio again with Paul Tipler before the end of the year so we can keep working on our debut album. The plan is to release this album next year with Reckless Yes Records, so watch this space! LIINES play Ramsbottom Festival (16), Manchester MAH Live Room (24), Salford Music Festival (30), Manchester Gullivers Ladyfest (October 8), London Birthdays (29) and Manchester Aatma (November 26).